After a long day at FanFest and waiting for the game to end, my Achilles heel was hurting and I could barely get inside the car - when the pain had subsided, I finally lumbered into the car. 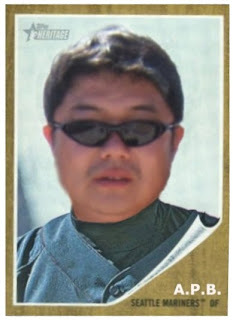 I walk towards who I thought was Takahashi and call blurt out his name - I ended up getting to sign three cards and hopefully he'll get to pitch in a regular season MLB game soon enough, so I could add his name to my collection of Angels autographs. Edit: Takahashi faltered in his debut with the Angels - it looks like he retired only one batter, allowing three hits, including a home run Jeff Francoeur in the Angels' 4-2 Opening Day win against Kansas City. As the saying goes - no pain, no gain. Tyson Auer was one of the Angels minor leaguers brought to Southern California for the last few days of spring training against the San Diego Padres and Los Angeles Dodgers - after Sunday's game against the Padres, Auer was standing around with Mike Trout at the Angel Stadium players' parking lot. Trout had signed autographs through the fence, though I'd already gotten him - I wanted Auer and one of the kids who gets autographs at the stadium on a regular basis called Auer for me. From what I saw through the fence, I think Trout was ribbing Auer a little because someone had recognized him and now he had to come over and sign autographs - I was able to get the two minor league cards I had of Auer, an unheralded 25-year old player looking to reach the Major Leagues. After getting Jered Weaver's autograph at Angels FanFest, I decided to jump in one last line when I saw it was Joel Pineiro signing - there was security guard holding up a sign that there would be no guaranteed autographs beyond a certain point; the security guy moved with the line so at any time they can stop the signing or whatever. I was able to reach the table where Pineiro was signing and got him to sign a 2010 Topps Allen and Ginter - he isn't an impossible autograph to get by any means, but another guy who maybe trickier to worry about getting during the regular season. Relief pitcher Kevin Jepsen was signing with Pineiro and I got a card signed for my friend - it looks like Jepsen busted out a full signature instead of just the 'quick' autograph he typically signs, so I probably should have a card for myself to get signed. That was pretty much it for autographs at the Angels FanFest - various fans got various things signed and they got to walk up to weary Angels players looking to finally start 2011 regular season. This is the baseball Jered Weaver signed for me at the 2011 Angels FanFest - I think he was the one player I wanted to get on the team this upcoming season. The next players my friend and I probably stood in line for at Angels FanFest was Brandon Wood and Alexi Amarista - I must have gotten Wood later on because I've seen other Wood autographs posted from the FanFest that were letter-for-letter perfect. I'm not going to lose sleep over how a player signs as long as the autograph is clean - but sometimes it is nice to get a version where the player has obviously taken more time writing out his autograph. The handler who generally made sure the scheduled signers only signed one autograph per person seemed to be only focused on Wood - so I busted out two cards for Amarista to sign and also got help from my friend in getting one other card autographed. My friend and I ended up at the Rich Thompson / Matt Palmer line at the Angels FanFest - I think all I had for Palmer was a 2010 Topps Target retro, which I guess I should get signed sooner than later, even though he is generally a good signer. My friend and I were almost close to reaching the table with Thompson and Palmer before the players switched off - the new signers were Maicer Izturis and Howard Kendrick, which was actually a good thing since getting those guys can be tricky to get during the season. Hopefully Izturis stays relatively healthy for the entire year while Kendrick sort of builds upon what he has done in the Major Leagues so far - he has shown the ability to be a good Major League player, but I think he can get a little better. The atmosphere at the 2011 Angels FanFest was OK - there were things to do for individuals and families who didn't want to be slaves to the autograph lines, which kept growing as the day went on. I think the earliest scheduled players signed for 45 minutes, the middle block of scheduled signers signed for 30 minutes and after a two hour 'intermission' [##@$@#!] the last group of signers 45 minutes. There were a couple of carnival rides for people to ride - there was a "Take Me Out to the Ballgame" contest for adults and kids. This band consisting of kids were sort of interesting - they were up on the main stage entertaining the people. There was an Angels trivia contest and random booths selling snacks, offering food samples and also featuring various other things like baseball memorabilia and baseball cards - there were interviews with coaches and players. Angels alumni members Jim Abbott, Jay Johnstone, Gary Disarcina, Bobby Grich and Clyde Wright were taking pictures for season ticket holders - though I think all took pictures or signed autographs for 'regular' fans at some point. I think I was walking around and saw Mike Trout was signing, so my friend and I jumped in the line for him - for those living under the dark Trout is has been hyped up as the uber prospect of uber prospects, only with some kid named Bryce Harper ahead of him on the totem pole. I was tempted to bust out my official MLB baseball for Trout - but I used the unsigned cards I had since I'd gotten him on a baseball already. Reliever Michael Kohn was signing next to Trout and I got him to sign his minor league card from 2008 - Kohn made his Major League debut in 2010 and looks to build upon a pretty good start to his MLB career. A Tribute to Ryo and Marty and Aki WTF? I thought Mark Trumbo was more of a suspect than a top prospect since he was signed out of high school and he didn't get to the Major Leagues for a cup of coffee until he was 24 - however, maybe the Angels patience in Trumbo is finally going to payoff as the 25 year old has enjoyed a fine spring and is looking to play in his first full season in the Major Leagues. Jordan Walden was the first player I was able to get at the Angels FanFest - I think Walden was one of the players signing by himself. I think one of the lessons learned by the Angels' personnel from previous FanFests was not to release information as to who the scheduled signers are - I'm pretty sure this was due to people holding up the autograph lines and causing a bottleneck, when the Angels want to get as many people through. I'd picked up a couple of Walden's early minor league cards - but the novelty of getting his latest 2011 Topps Heritage card signed at the Angels Fanfest was too much to pass up. My Sharpie had gone unused for much of the spring but with less than a week before the 2011 MLB season started - I was able to use my tool in order to get some stuff signed at the 2011 Angels FanFest held at Angel Stadium last Sunday. There were four stations at the FanFest with mostly two players paired up signing - maybe because it was still sprinkling and the better players didn't show up yet, it was easier to get multiple players during the first couple of signing sessions. I'm going to be trying to showcase the autographs in the next several days - but the following is the list of players I got at the fanfest along with other autographs I got. Kevin Jepsen - helped out a friend featured on the site. At the fanfest, a voucher was given to fans - that can be redeemed for a game ticket to the afternoon's Angels exhibition against the San Diego Padres Tucson, San Antonio and Lake Elsinore players to make an impression with their parent club. After the game - there was still a few autograph opportunities to be sought out. Tyson Auer 2/2 - Angels minor leaguer. Hisanori Takahashi 3/3 - spotted him as I was leaving the stadium. Jered Weaver (1) - there was an intermission at around 10:45, where players stopped signing, because the Angels had to take batting practice at the stadium. Some of the players were herded back out onto the Fanfest for Q&A and signing sessions - I've gotten Weaver before but I've never thought about getting him on a baseball, so he was the one Angels player to get on a single-signed baseball this year. Mike Scioscia (1) - there were still fans waiting for the Angels' players / coaches to drive out after the day was done. Angels Manager Mike Scioscia stopped and signed for those who wanted his autograph. 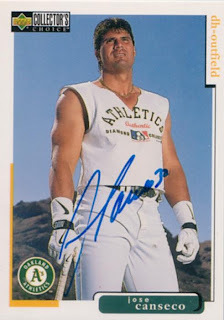 It probably isn't the sleaziest thing he has done but it is pretty funny that Jose Canseco sent his twin brother to do his fighting for him - it never ends but stuff like this is what Jose likes to keep his name in the papers and make sure his name is relevant, even if it is for dubious reasons. I'm pretty sure I got my Cansecos straight when I got this card signed by Jose five or six years ago at a charity home run derby - I also got Ozzie too, which was pretty cool, though I'll have to go find the card somewhere if I wanted to show it off. Augie Garrido c/o University of Texas Athletics - the longtime collegiate baseball coaching great signed my card in black ink in about two months or so. Chad Cordero was once a relief ace who piled up 127 of his 128 career saves in his four full MLB seasons with the Montreal Expos / Washington Nationals - despite enjoying much early success, he has struggled to make it back to the Major Leagues and make a significant impact with stints in the Seattle Mariners and New York Mets organizations. It was kind of a shock to read about what he and his family had gone through during the off-season - now just learning about his tragedy of losing a daughter who was only 11 weeks into her life just blows me away. Jerry Sands c/o Los Angeles Dodgers [spring training] - signed my card in black ink in about a month or so. Sands has put up big numbers in the minor leagues but has seemingly gone under the radar - while it looks like he'll start the season in the minor leagues, it isn't a stretch to say he'll get his call to the Major Leagues sooner than later. 2011 Topps Heritage blaster box [$19.99 at a Target] - my biggest complaint against Heritage is despite the massive appeal, most of the cards I'll pull, are base cards I'll be able to find out of someone's common boxes later. This is probably the case for most average pack or blaster breaks, but maybe I assume busting Heritage is a little more special than busting the latest baseball card offering from Topps - at times the cheesy inserts I may or may not pull in Topps Heritage are often times boring and I'm not sure what to make of the Heritage line. #404 Mark Trumbo - between my blister pack break and this blaster box break, I'm happy I pulled the four base cards of the Angels rookies [Hank Conger, Walden, Andrew Romine and Trumbo] out of the 2011 Topps Heritage set. 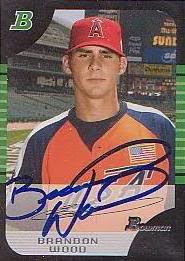 #291 Bobby Cramer - it must be nice for the former independent league pitcher to get a Major League rookie card after making his Major League debut in 2010. #167 Wilson Ramos - here is a story about Ramos' ascent to the Major Leagues. I was wondering how to deal with the new 2011 Topps Heritage coming out - I'm not going to pick up a hobby box for $75-$80, but like a lemming I wanted to see what the 2011 Topps Heritage cards looked like in-hand. I don't think I've really loved any particular year of Topps Heritage - maybe 2009 was the last year I really liked how the Heritage cards looked. I understand they are supposed to mimic Topps' sets from the past, but perhaps I have to be a set-builder to understand the appeal of Heritage - when at times I find the cards dull and boring. For now, I picked up a 2011 Topps Heritage blaster box and also a three-pack blister [$8.99 each at Target] - the blisters come with '3 exclusive black parallel' cards, which maybe the ideal lure for collectors looking for a non-blaster Heritage purchase. #209 Andrew Romine - is it weird that I imagine being a professional baseball player for the Angels, taking a baseball card picture like Conger and Romine do on their cards? #155 Brian Wilson - I love this card but everyone has seen it, haven't they? The card is awesome but perhaps Topps should have gone with an image featuring Wilson's trademark beard. The ways the Angels bumbled in 2010 wasn't solely Brandon Wood's fault - except he has not shown the ability to hit Major League pitching. Wood is a relatively young kid at 26 and seems healthy - so 2011 is another year where Angels fans hope he can begin to establish himself as a competent Major League player. If he doesn't do it soon, Wood will be thrown among the set of Angels prospects who have failed to live up to expectations. This is sort of a recap and a preview - after the Angels had enjoyed much success for much of the 2000s, the team stumbled in 2010. 1.) Hitting performances took a dip - Bobby Abreu, Hideki Matsui, Juan Rivera, Erick Aybar. While Matsui and Rivera are gone, the Angels are hoping Vernon Wells can provide some stability in the lineup and guys like Abreu and Aybar bounce back. 2.) The team in 2010 never really gelled for a prolonged period of time with the injuries suffered by various players - Jeff Mathis got hurt, lost Kendrys Morales for the season, Joel Pineiro got hurt, Maicer Izturis couldn't play a full season due to nagging injuries. 3.) Scott Kazmir imploded - he's a guy who at 27 may need to learn how to pitch and make the transition from thrower to someone who has to rely on guile. The days were he can overpower hitters with sheer stuff seems to have passed him by. Still the Angels' rotation have a good trio in Jered Weaver, Ervin Santana and Dan Haren - Pineiro comes up as the No. 4 starter and if Kazmir can do something to revive his career, then the Angels have a staff that is as good or better than the Oakland Athletics or the Texas Rangers. 4.) The Angels' bullpen wasn't good in 2010 and closer Brian Fuentes was dumped for a notable 7'1'' pitcher in Loek Van Mill - Scott Downs and Hisanori Takahashi look to improve the depth, even though Fernando Rodney can be a question mark at times. In 2011, the Texas Rangers will likely take a step back because Cliff Lee went to Philadelphia and they chose to let Vladimir Guerrero leave - perhaps the Athletics may be a 'breakout' team if the 'complimentary' hitters [David DeJesus, Matsui and Josh Willingham] the team acquired in the off-season stay relatively healthy and be productive. I cannot root against my Angels however and believe they will at least get back into the playoffs in 2011 - not that 2010 hasn't created some doubt about that reality happening, but there is a good team in place in Anaheim and despite not signing Carl Crawford and/or Adrian Beltre, they can go and win the American League West. Michael Cuddyer c/o Minnesota Twins [spring training] - signed my card in blue ink in about three weeks or so. Cuddyer is one of the 'non-Mauer, face of the franchise' types for the Minnesota Twins - seemingly a blue collar player who has been a fixture in the organization since signing with the team in 1997. Maybe I could have gone retail and picked up a blaster of 2011 Topps Opening Day or even a blaster of 2011 Topps - but I stopped at the card shop after I'd gotten my haircut because I was still feeling a little empty after I'd gone on a card show trip detailed in my previous post. The card shop I go to on-and-off is sort of quaint - while it seems up to date as far as the newer products and the layout of the store is fairly organized, the actual experience being in the store makes you feel like you've walked into some collector's closet. I was going to dig through the quarter box, hoping for some 2011, late 2010 commons - but I was hoping for something different, something to catch my eye. The box of $3 jerseys with mostly hockey cards, a few football and no baseball wasn't really what I was looking for. I went through what seemed to be a 5,000 card box of 1984 Donruss that was all commons and wasn't really of much interest - despite the fact I did want to see what was inside after a previous visit a year ago. I went through some old-school Topps cards that caught my eye - but the problem as much as I'd like to get to have some nice old Topps cards just because they maybe 35-40 years old, I only want to immediately collect the cards of players I may know something about. I also know I was going through mostly commons, so there maybe a disconnect as going through the older cards and not recognizing the rank-and-file players pictured on them. I think my immediate goal were to perhaps look for old school Topps cards I may have seen online as being chronicled for whatever reason - maybe a cult baseball player or a baseball card with a unique characteristic. After picking out three other cards, I think paid too much [$10] for the 1962 Topps American League Home Run Leaders [#53] I saw in one of the shop's showcases - it is beater of a card but was drawn to it because it features Roger Maris and Mickey Mantle and encapsulates the 1961 American League home run race between the both of the Yankees' sluggers. With the Angels' 50th Anniversary celebration, perhaps I need to brush up on my knowledge regarding former Angels like Rick Reichardt, pictured on his 1968 Topps card [#40] I picked up for $1 - about 10 years ago I had a friend who was only 18 at the time, but took time to learn about Halos of the past and write to them for their autographs. I think The Angels, In Order blog is helpful - as far as looking up old-school Angels and their autographs in relation to the franchise's history. I've seen this 1973 Topps card of Willie Davis [#35] on some other blogs and wanted to add it to my 'awesome action' collection of cards - it seems either Davis was either hit by the pitch or perhaps he was brushed back according to this blog. I was leafing through a binder of 1975 Topps commons and this 1975 Topps card of Oscar Gamble [#213] stood out - I think I already have his 1976 Topps Traded card, so I got 1975 Topps version as another tribute to the African-American ballplayer who like his hair, hit their prime years in the mid 1970s loud and proud.